A couple of weeks ago we wrote about concerns for the health and wellbeing of chimpanzees moved from dedicated research facilities in the US to the only federally-supported sanctuary, Chimp Haven (“Do politics trump chimpanzee well-being? Questions raised about deaths of US research chimpanzees at federally-funded sanctuary” 7/14/16). The impetus for this particular post was a compelling article written by Dr. Cindy Buckmaster (“Dr. 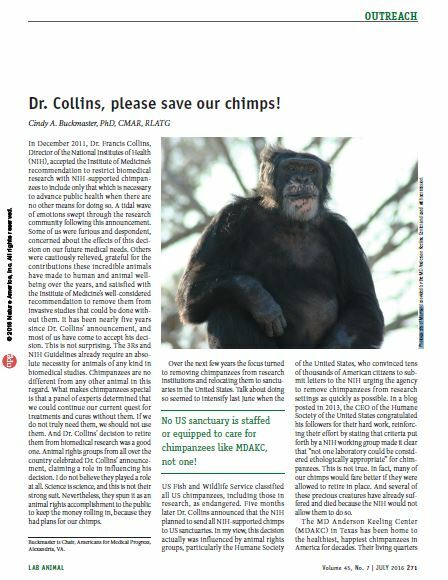 Collins, please save our chimps! Lab Animal, Vol 45, No 7, July 2016). The article was about the deaths of 9 of 13 retired research chimpanzees who had recently been transferred to the federal sanctuary from the National Center for Chimpanzee Care (NCCC; University of Texas MD Anderson Cancer Center, Bastrop). There are, of course, other research facilities and other sanctuaries that house chimpanzees in the US. We, and others, have written previously about the broader picture, events, and considerations, including in posts here and in peer-reviewed articles in scientific journals (e.g., Facts must inform discussion of future of chimpanzee research, 8/12/11; Guest post: Efforts to ban chimpanzee research are misguided, 10/13/11; Where should US chimpanzees live, 12/5/15; Bennett, 2015; Bennett & Panicker, 2016). Providing the best possible care to ensure retired research chimpanzees’ health and well-being is the central ethical justification for continued public support of the animals. 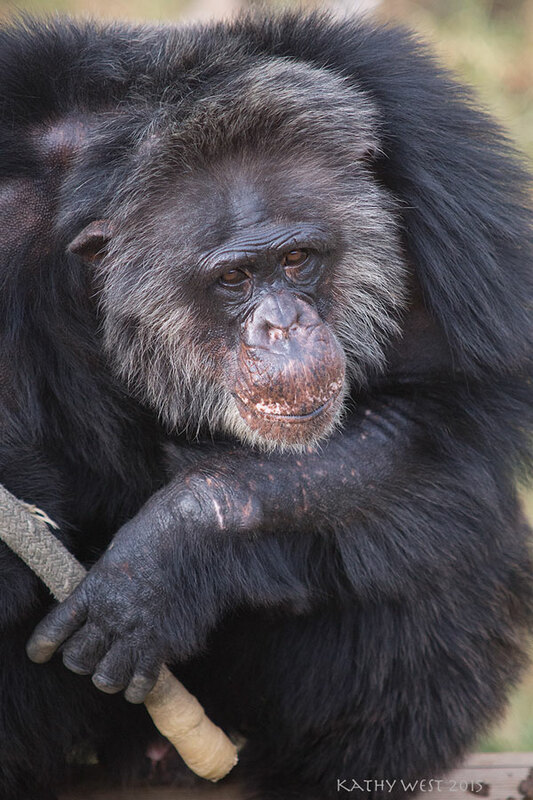 Decisions about whether or not to transfer retired research chimpanzees to sanctuaries and zoos are ongoing and, presumably, will be informed by consideration of the outcomes for animals already relocated. These chimpanzees are supported largely by federal funds, whether in dedicated research facilities or in the only federally-funded sanctuary. 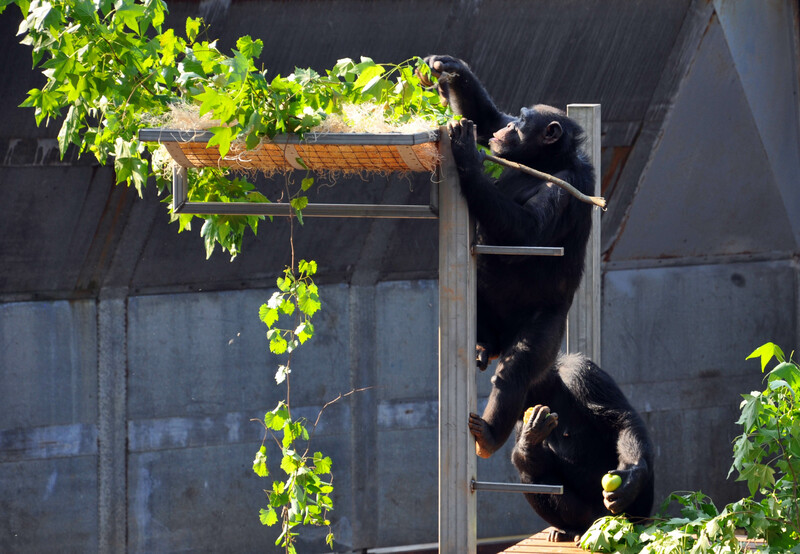 Chimp Haven is not the only, nor is it the largest, chimpanzee sanctuary in the US. It is, however, the only sanctuary in the federal sanctuary “system” and the only sanctuary that receives millions of dollars of federal support and a commitment to 75% of the cost to care for retired NIH research chimpanzees. Similarly, federally-owned research chimpanzees are not the only chimpanzees in the US. Some research chimpanzees are the responsibility of private institutions. The retired chimpanzees transferred by NIH to Chimp Haven are chimpanzees that are owned by the federal agency. Thus, the ultimate decisions about the chimpanzees are under the direct control of the public agency. While the focus here is on a particular subset of chimpanzees and a particular set of facilities in which they live, that does not mean that other chimpanzees and facilities are beyond the concern of the public and the research community. By contrast to NCCC and CH, however, chimpanzees owned by private institutions and transferred to private sanctuaries is largely not decided with public input or by public agencies. For example, this is the case for many of the chimpanzees slated for transfer from the University of Louisiana’s New Iberia Research Center (NIRC) to a new sanctuary, Project Chimps, in Georgia. It is also the case for chimpanzees at the Yerkes National Primate Research Center (YNPRC) that were transferred, with assistance from the American Zoological Association’s (AZA) Species Survival Plan (SSP), to a Tennessee zoo. In fact, the movement of chimpanzees between zoos in the US is a common occurrence and one that occurs with little public dialogue and input into decisions. 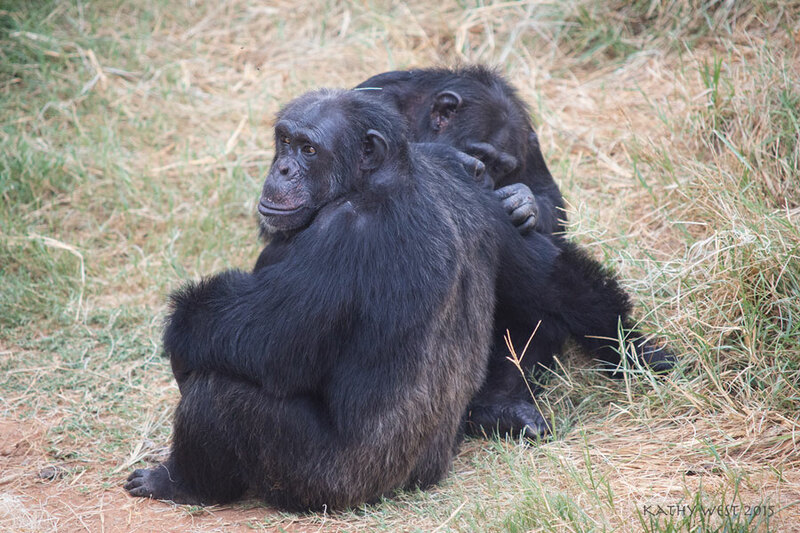 For all of these reasons, along with other more fundamental questions about the care of chimpanzees, the ethical justification for activities that they are involved in, and the roles that different types of facilities play, continuing discussion of the transfer of retired research animals to the federal sanctuary is of interest to many. A number of people with long history, expertise, and deep involvement in care for US chimpanzees commented on our previous posts to provide their perspectives and additional information that can inform others concerned with the situation. Among others, these comments were from veterinarians, scientists, and board members with direct experience at NCCC, the dedicated research facility from which chimpanzees that were the subject of the post were transferred, and Chimp Haven, the chimpanzees’ final destination. What emerged from the comments appeared to be a consensus on a number of points, including universal agreement that the care and housing for chimpanzees at the research facility, the NCCC, in which the animals lived prior to transfer and many continue to live, is excellent. In addition, there were multiple calls for collaboration and setting aside differences across the different communities involved in decision-making and care for retired chimpanzees. At the same time, members of the CH Board leveled some criticisms at the post. The chairman of the CH board and another member of the board felt that it was unfairly focused on their facility, wrongly attributed the stress of chimpanzees’ relocation as a critical factor in the animals’ deaths, and did not adequately represent CH’s care for those animals and its comparability to a research facility. 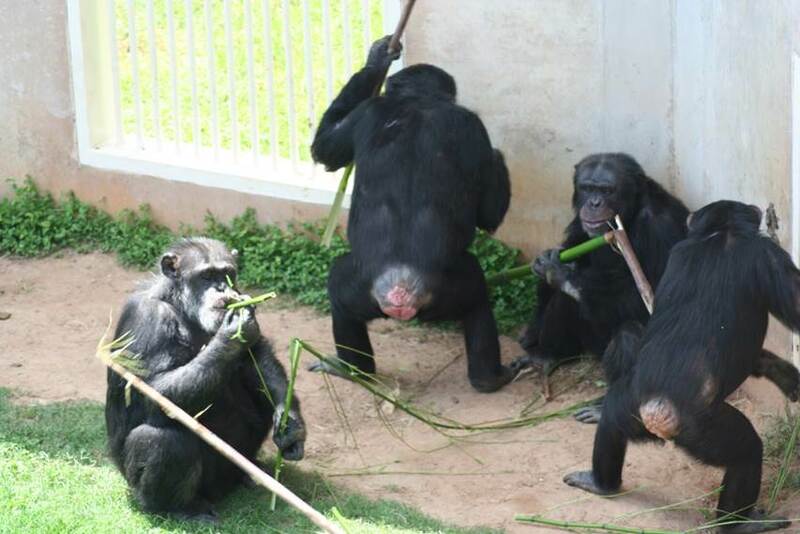 While the CH board members were critical of the discussion, members of the research community pointed out that sustained campaigns to demonize their own work, facilities, and care for chimpanzees have been a major factor that contributed to the decisions about chimpanzees, to public views, and to the current situation. Overall, we are encouraged by the response to this post and to the emergence of a public dialogue that goes beyond soundbites and entrenched positions in order to identify points of consensus and points that urgently need further consideration in order to inform ongoing decisions about captive chimpanzees. Providing an accessible space for serious, fact-informed discussion is a central goal of Speaking of Research and our blog. We are particularly encouraged that members of the research, sanctuary, and zoo communities have joined their voices to this particular venue for public dialogue. We appreciate their willingness to provide expert perspectives and to share their views. While we encourage readers to review the full comments on the original post, we provide here a discussion of some main points and encourage continuation of the dialogue. That the care and housing for chimpanzees at the research facility, the NCCC, in which the animals lived prior to transfer and many continue to live, is excellent. Dr. Elizabeth Magden, comments on the similarities between the research facility in which she works and the federal sanctuary. Magden is a veterinarian who cares for the chimpanzees at the Bastrop, Texas facility that is part of the University of Texas M.D. Anderson Cancer Center, now designated as the National Center for Chimpanzee Care (NCCC). 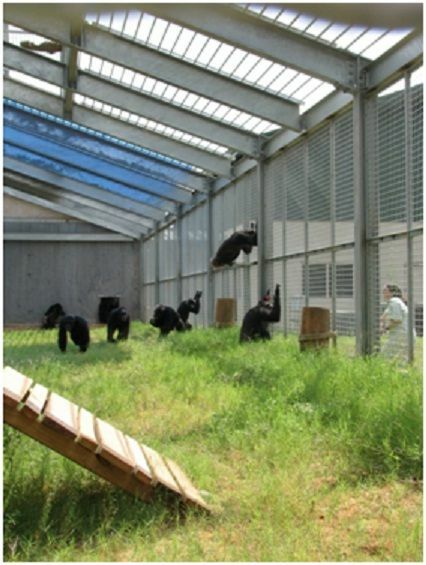 The facility was also praised by Dr. Stephen Ross, an animal behaviorist who is both the chair of the Chimp Haven board and the Director of the Lester E. Fisher Center for the Study and Conservation of Apes, at Lincoln Park Zoo’s (LPZ) Regenstein Center for African Apes. As we’ve noted previously, Ross was also a member of the NIH Working Group on the Use of Chimpanzees in NIH-Supported Research whose recommendations informed the discontinuation of the majority of NIH chimpanzee research grants and the NIH decisions to retire and relocate its chimpanzees. That the focus of ongoing discussion should be on making future decisions that center on best protecting the animals’ health and well-being. That the age and health status of retired chimpanzees is a critical factor to consider in weighing the risks of relocation; and, that the deaths of recently relocated chimpanzees merits serious concern and examination in order to reduce re-occurrence and risk to other animals considered for relocation. While all of the commenters appear to agree that consideration of the chimpanzees’ health and welfare should be the primary factor driving decisions, there remains disagreement about whether relocation itself—or the care provided at CH—merit further review in light of recent chimpanzee deaths. It was these recent deaths that were the focus of Dr. Buckmaster’s open letter to NIH Director Francis Collins and of recent media coverage. There is no doubt that many retired chimpanzees are aged or have health concerns, as we and others have quite clearly and repeatedly acknowledged as a critical factor that should guide decision-making. The specific question raised by the recent deaths at CH, however, is not whether it is reasonable to expect older animals to die. Obviously, it is. Prof. Hopkins’ comment, along with others, hits the central point. It is promising to see members of the zoo and sanctuary communities vocalize agreement with the research community on the need to put chimpanzees’ health and welfare at the center of joint efforts. At the end of the day, however, the question is how to move forward to best inform decisions. And the question remains: Are the recent deaths are viewed only as the expected outcome of transfers, requiring no need for recognition? Or should they instead merit consideration as potential evidence that procedures, or relocation plans, should be adjusted? Chimpanzees at NCCC. Photo credit: Kathy West. While his points about retired chimpanzees’ age are accurate, the implication that this set of chimpanzees were “subjects of medical research which has in some cases has had very real health consequences” is disputed by another commenter and remains unclear in absence of those animals’ records. “The biomedical research community has for a long time been “unfairly characterized” when it comes to the care and use of chimpanzees and other animal models. There has been a lifetime of “demonizing” committed animal care givers and veterinarians who dedicate their life time to the profession and the animals under their care. One can be sympathetic to commenters who react after having to endure statements such as “All invasive research is torture, and it’s not just the procedures. It’s the imprisonment. It’s being kept in a small space with no choice. You just are there. You’re powerless.” They use inflammatory statements like “chimpanzees have been infected with viruses, darted and sedated more than 100 times, and put through dozens of sometimes painful procedures”. They describe a “better life” because of access to sun and grass for the “first time” when the reality is they have had access to the outdoors (including sun and grass) all that time. They mischaracterize there care by using descriptors for techniques of handling animals, that are common in zoos and sanctuaries, such as the use of “powerful and painful” dart guns and “frightening” squeeze cages for sedation. They do this so as to promote a political agenda and to misguide the public. In the end, none of the CH BOD provided acknowledgement, or any assurance, that the recent chimpanzee deaths had elicited sufficient concern to generate a new review of care procedures and decision-making about future transfers. Given that they appear to conclude the deaths are reasonable and expected, it seems possible that that they plan to simply continue the same course. CH board members countered Satterfield and criticisms by others by pointing to their own experience with CH, as well as to its accreditation record with private agencies and its oversight by the USDA, a federal agency. Yet it remains true that the facts surrounding the recent deaths are largely unknown and not public. Nothing in the CH responses provided further illumination on those specific cases. From a reasonable public perspective, it appears that much remains unresolved with respect to confidence that examination of those cases can, and will, guide further decisions. 1) How should current experience inform decisions about future transfers? We have addressed each of these questions in previous posts and articles and will continue to welcome dialogue on these points here, and in subsequent posts. Bennett, A.J. (2015). The new era for chimpanzee research: Implications for broad ethical consideration and equitable treatment. Developmental Psychobiology, 57(3), 279-288. Bennett, A.J. & Panicker, S. (2016). Broader impacts: International implications and integrative ethical consideration of policy decisions about US chimpanzee research. American Journal of Primatology, Epub ahead of print Jul 19. Posted on August 1, 2016 August 1, 2016 by EditorPosted in NewsTagged animal research, animal welfare, Chimp Haven, Chimpanzee, National Center for Chimpanzee Care, NIH, research animal retirement, sanctuary, speaking of research. I believe they are required to provide this information to NIH (who continues to own the chimpanzees and provides federal funds for their support) and, more significantly, supply investigators that had protocols on the federally owned chimpanzees with necropsy reports when they die. So I would recommend that Bastrop investigators request these reports directly from Chimp Haven and make them available to all of us that are interested in the future of these particular chimpanzees. The records may be available via a federal freedom of information act; however, it is not entirely clear that the sanctuary is required to provide clinical records, necropsy and pathology reports to NIH. 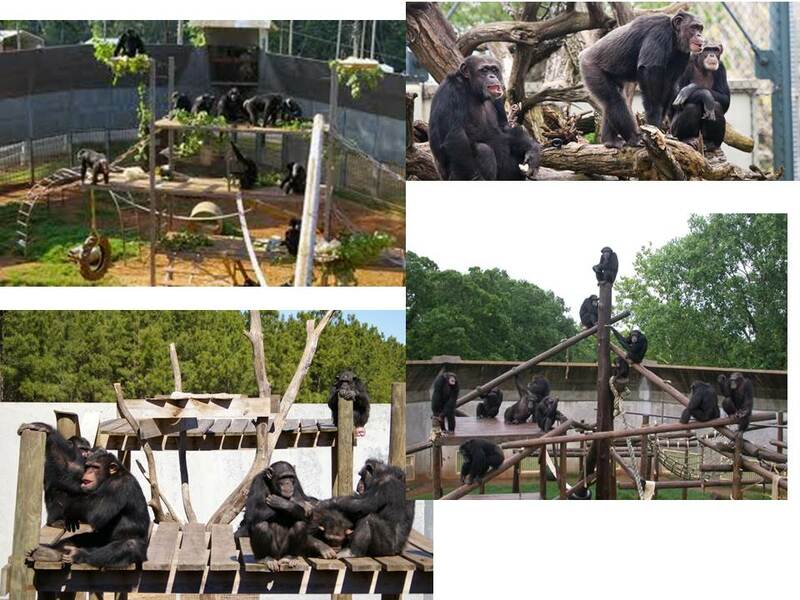 Chimp Haven is not a research facility and may not be subject to the same provisions as a research facility. Also not clear that they are required to provide those records to USDA, unless they are part of an investigation by the federal oversight agency. How can anyone (especially Speaking of Research) engage in meaningful discussion without sharing the necropsy and pathology reports of the nine chimpanzees that died after arriving at Chimp Haven? We would be happy to share the necropsy and pathology reports if Chimp Haven provides them. Thank you – I very much hope that Chimp Haven supplies them. In any event shouldn’t these be available through the freedom of information act? Given that there is quite a lot of research showing that relocating animals has direct, measurable and significant effects on the immune system, perhaps that would be worth referencing in this piece? Regardless of the quality of care on the receiving end, there is a certain amount of stress imposed on any relocated animal which needs to be carefully weighed when considering cost and benefit of moving chimpanzees.